Administrative Law Judge (ALJ) Adrienne L. Krikorian, Office of Administrative Hearings (OAH), State of California, heard this matter on November 7 and 8, 2011, in Whittier, California. On September 2, 2011, District filed a request for due process hearing. OAH granted a continuance of the due process hearing on September 28, 2011. At the hearing, the ALJ received sworn testimony and documentary evidence. At the end of the hearing, the ALJ granted a continuance until November 18, 2011, to allow District time to file a closing brief. 1 On November 7, 2011, Parents filed a motion to dismiss. In lieu of an opening statement, Parents also made an oral motion to dismiss the matter on the grounds that District emailed its proposed hearing exhibits six business days before the hearing and that it did not personally serve a paper copy of the exhibits on Parents until November 4, 2011. Parents also objected to an earlier OAH order denying them a continuance of the hearing date until February 2012, claiming that the OAH order deprived Student of due process and the opportunity to have counsel during the hearing. The ALJ inquired on the record into the circumstances relating to the service of exhibits with both parties. Thereafter, the ALJ denied Parents’ oral and written motions to dismiss on the grounds that the motions were untimely and that Parents did not demonstrate that they suffered any prejudice with respect to the emailed exhibits. District submitted its closing brief within the time allowed, and the record was closed on November 18, 2011. Was District’s individualized education plan (IEP) dated September 29, 2010, as modified on November 17, 2010, April 4, 2011 and April 11, 2011, an offer of a free appropriate public education (FAPE) in the least restrictive environment (LRE), and, if so, may District implement the IEP without Parents’ consent? 1. At the time of hearing, Student was ten years old and resided with Parents within the District. He attended the fourth grade in a general education classroom at a District elementary school. Student was eligible for special education as other health impaired (OHI) with a medical diagnosis of Down’s syndrome and received related services in speech and language (SL) and occupational therapy (OT). 2. At the beginning of the 2010-11 school year, District conducted multidisciplinary assessments on Student in preparation for his annual and triennial IEP. 3. District inclusion specialist Cheryl Clark (Clark) has been employed by District seventeen and one half years, and as an inclusion specialist for the past nine years. Clark, who testified at the hearing, holds a bachelor of science and master of arts in education. Clark also holds credentials as a level-two special education specialist for moderate to severe students, and credentials for orthopedically handicapped and other health impairments. She has worked throughout her career as an educator with students with special needs, including in the areas of physically and learning handicapped, and in life skills. Her present duties include case management of students with an IEP who are fully included in general education classrooms. Specifically, her responsibilities include support and collaboration with teachers and staff, support of students and their parents, oversight of IEP compliance in the area of implementation of modifications, preparation of progress reports, academic assessments, and attendance at IEP meetings. Clark has been Student’s inclusion specialist from the time he enrolled in District’s kindergarten class. She spends approximately 45 minutes a week working with Student, Student’s educational aide, and Student’s teacher modifying his curriculum. Clark demonstrated her qualification to assess Student and to offer opinions relating to Student’s unique needs and his performance in the educational setting. 4. Clark assessed Student in the area of academics on September 7, 2010, and she summarized her findings in a report that was included in Student’s September 29, 2010 IEP. Clark administered the Kaufman Survey of Early Academic and Language Skills (KSEALS), and the Woodcock Johnson III Normative Update Academic Achievement (WJ-III-NU). In addition, she relied upon progress reports provided by Student’s teacher, periodic conversations with Student’s mother, and her personal observations of Student in the classroom during the prior school year. 5. The selected tests were administered in a non-discriminatory manner in Student’s native language of English, following the instructions provided by the producer of the assessments. Clark selected the tests based upon her experience in administering those tests and her knowledge that they were appropriate to assess Student’s academic levels. The tests were administered without prompting or modifications. Student cooperated during the testing without accommodations, and he gave his best effort. Student sometimes responded too quickly to test questions and he gave up easily after attempting difficult tasks. 6. On the KSEALS, when compared to other six-year-old test subjects, Student scored well below average on the expressive skills subtest, and in the lower extreme range on the subtest for vocabulary, receptive skills and number skills. On the WJ-III-NU, Student’s scores were in the kindergarten-age range. Clark compared his results on the 2010 WJ-III-NU to prior years’ results and concluded that Student made little to no academic progress since the test was last administered three years prior. The test results were valid and reliable and identified Student’s unique areas of need in math, writing and reading. 7. At the time of Clark’s assessment, Student worked on a modified kindergarten to first grade curriculum. Historically, he did not demonstrate the ability to retain information and was unable to replicate tasks learned on the previous days. 8. Based upon her assessment results, Clark developed ten academic goals in collaboration with Student’s general education teacher. The goals were designed to be attainable in a year, were measurable, and were calculated to meet Student’s unique needs in the areas of reading, writing, and math to enable him to be involved in and progress in his educational program. 9. Erika Santana (Santana), who testified at the hearing, is a licensed speech pathologist. She has been employed by District for nine years. She holds a bachelor of arts and a master of science degree in communication disorders, and a certificate of clinical competence in SL pathology. Santana has conducted an average of 100 SL assessments each year, and has worked with children with special needs including those with multi-cultural backgrounds. Her job duties include providing therapy to children with unique needs in the area of SL, conducting assessments, and attending IEP team meetings. She has provided Student with individual SL services twice a week for fifteen minutes each session for more than two years, and has observed him both in the classroom and during lunch and break times at least ten times over the past year and one half. Santana demonstrated her qualification to assess Student and to offer opinions relating to Student’s unique needs in SL and his performance in the educational setting. 10. Santana assessed Student’s unique needs in the area of communication in September 2010. She summarized her findings in a report that was included in Student’s September 29, 2010 IEP. She administered several standardized assessments, as discussed below, which were age appropriate, administered in English, and designed to be administered in a non-discriminatory manner. She administered the tests based upon her training, knowledge and past experience with each of the tests. Santana also tested Student’s articulation skills by observing him in the classroom. Her assessment tools included her observations of Student in the classroom and in therapy sessions, feedback from Student’s mother (Mother) and teachers, and a review of Student’s past IEPs and SL assessments. 11. During classroom observations, Santana noted that Student did not initiate social interactions with other students. His interactions were limited to those with his classroom aide and he would typically interact with other students only when prompted to do so. Although Student would occasionally interact spontaneously with others in the classroom, his communication would not be on topic, but instead on a topic of his choosing. Santana observed similar behavior from Student during SL therapy sessions. 12. Santana administered the Boehm Test of Basic Concepts, third edition (BOEHM-3) because Student had difficulties understanding and following directions. The test is a valid assessment to distinguish between Student’s ability to understand a concept as opposed to not being able to follow directions. Student was 24 percent accurate on the 50 concepts tested, placing him in the category of significantly delayed when compared to children who were at the end of kindergarten. The test results were valid and reliable. 13. Santana administered the Receptive One Word Picture Vocabulary Test (ROWPVT ) to assess Student’s receptive vocabulary skills. Student scored below the first percentile compared to same-age children. His score demonstrated that his abilities were equivalent of a five year and two month old kindergarten student. Santana concluded that Student’s limited receptive vocabulary skills significantly affected his ability to access grade level curriculum, to understand complete directions and to effectively communicate with same age peers. The test results were valid and reliable. 14. Santana also administered the Expressive One Word Picture Vocabulary Test (EOWPVT), which she selected to determine Student’s expressive vocabulary skills at the word level. Student’s raw score of 26 was so low that Santana was not able to obtain a percentile or standard score. His scores fell in the mean for a four-year-old child, placing his ability to label familiar items at a preschool level. Santana concluded that Student’s limited expressive vocabulary skills greatly affected his ability to access grade level curriculum, to socialize and to effectively communicate with same age peers and adults. The test results were valid and reliable. 15. Santana administered the Structured Photographic Expressive Language Test, third edition (SPELT-3) to assess morphology and syntax skills. Student provided only two appropriate responses and his scores placed him far below average compared to performance of students of his chronological age. Santana concluded that the lack of morpho-syntactic skills affected Student’s ability to access grade level curriculum and his ability to effectively communicate with others. The test results were valid and reliable. 16. Santana administered six subtests of the Language Processing Test-Elementary (LPT-3) to assess Student’s ability to process auditory information. Student scored less than the first percentile in association and categorization; he was unable to complete the subtests in similarities, difference, multiple meaning and attributes. Santana observed that Student performed as if he was unable to understand the testing directions, and that Student did not appear to be giving his best efforts during these tests. Student’s performance on test components was better when he did not find them difficult. He demonstrated that he was aware of when he was unable to respond to what was asked of him, causing him to intentionally not complete those tasks. The test results were valid and reliable. 17. Student’s results on the assessments Santana administered were consistent with Santana’s observations of Student in his classroom and during SL therapy sessions. Santana proposed three new goals for Student, including sentence length/syntax, syntax/vocabulary, and expressive/pragmatic communication. The goals were designed to be attainable in one year, were measurable and were calculated to meet Student’s unique needs in the area of communication to enable him to be involved in and progress in his educational program. 18. Occupational therapist Lisa Swikart (Swikart) and occupational therapy assistant Stephanie Ko (Ko) of Gallagher Pediatric Therapy, a non-public agency (NPA), assessed Student in OT on September 7, 2010. Ko testified at the hearing. Ko has an associate degree of science in OT, and is a certified OT assistant. She has had training and experience in conducting OT assessments, and has worked with children with special needs, including those diagnosed with Down’s syndrome. Ko, who has provided Student with clinic-based OT services once a week for fifty minutes since September 2010, demonstrated that she was qualified to assess Student and offer opinions in connection with Student’s unique needs in OT. 19. The OT assessment report was included in Student’s September 29, 2010 IEP. Ko administered two standardized tests, as discussed below, that allowed for assessment in all areas related to Student’s OT needs, including fine motor, visual motor, manual dexterity, and upper limb coordination. The tests were administered in accordance with the instructions provided by the producer of the test. Student was tested in English in a clinic setting using assessment tools that were selected so as to not be discriminatory. As part of her assessment Ko reviewed Student’s 2006 initial OT evaluation, spoke to his third grade teacher, observed Student in class and reviewed writing samples. Student required several prompts during testing to stay on task and to attend to the test items. He performed the testing items impulsively and required multiple verbal prompts to slow down and listen to the directions. Therefore, Ko concluded that the assessment results should be interpreted with caution because it was not standardized. 20. Ko administered the Bruininks Oseretsky Test of Motor Proficiency, Second Edition (BOT-2) including the fine motor precision, fine motor integration, manual dexterity, and upper limb coordination tests. The purpose of the test was to evaluate Student’s motor abilities to perform in a classroom. Student scored well below average in all subtests. Ko also administered the Beery Buktenica Developmental Test of Visual Motor Integration, Fifth Edition (Beery VMI-5), including the visual motor integration, visual perception, and motor coordination subtests. Student’s scores on the subtests were very low, and Ko was unable to score him on the visual perception subtest based upon his perceived inability to understand directions, to discriminate between sizes and different shapes, and his tendency to impulsively identify shapes without careful contemplation. 21. Ko reviewed Student’s prior IEP goals in the area of OT and determined that he had made progress or met the four goals. She recommended that, based upon his areas of strength and areas of concern related to his ability to participate in his education program, OT services at a frequency of one time per week for 50-minute sessions within the school setting should continue until his 2012 IEP. Ko proposed three new annual goals for Student addressing fine motor and visual motor skills, fine motor dexterity and visual perceptual skills. The goals were designed to be attainable in one year, were measurable, and were calculated to meet Student’s unique needs in the area of OT to enable him to be involved in and progress in his educational program. 22. District school psychologist Shauna Allen (Allen) has been employed by District for sixteen years. Allen, who testified at the hearing, has a bachelor of arts degree in psychology, and master of arts degrees in school counseling and educational psychology. She holds pupil personnel services credentials in educational psychology and school counseling. She is a certified behavior intervention case manager (BICM), has been trained in crisis prevention intervention, child abuse prevention, response to intervention, ADHD, and working with child abuse and students with emotional disturbances. Her duties as a school psychologist include conducting assessments, developing behavior support plans (BSP) and IEPs, attending IEP meetings, and working with students with psychological needs. She has conducted an average of 60-70 psycho-educational assessments each year during her career with District. Allen assessed Student in preparation for his 2010 triennial and annual IEP. She demonstrated that she was qualified to offer opinions in connection with Student’s unique needs in the educational setting. 23. Allen conducted Student’s psycho-educational assessment in collaboration with Clark, Santana and Student’s general education teacher Kathy Anderson (Anderson). Allen’s report was included in Student’s September 29, 2010 IEP. The tests and procedures included a review of Student’s school records, standardized testing, as discussed below, school-based observations, interviews with Parents and Student, and a review of his prior IEP goals. The assessment materials were selected and the procedures were valid for the purposes for which they were used, they were administered in English according the directions provided by the producer of the assessment, they were selected to be nondiscriminatory and were administered without regard to race, gender or culture. The test results were valid and reliable. 24. Allen administered the Leiter-R (2009), including the visualization and reasoning battery consisting of nine subtests. The Leiter-R is a non-verbal measure of Student’s ability to perform complex nonverbal mental manipulations related to conceptualization, inductive reasoning and visualization. Student scored within the extremely low average range, reflecting a full intelligence quotient of 52, which fell below the first percentile. 25. Allen also administered the Adaptive Behavior Assessment System, Second Edition (ABAS-II), which was designed to measure important behaviors in the home, school and other settings. On the ABAS-II Parent Rating Scale, Student scored well below average in adaptive functioning, a result that was consistent with the cognitive ability measured on the Leiter-R. On the ABAS-II Teacher Rating Scale, Student also scored well below average in overall adaptive functioning, consistent with the cognitive ability measured on the Leiter-R. Student’s overall independent skills were delayed in the school and home setting. 26. Allen concluded that Student was a delightful, happy and energetic third grade student with test results well below typical peers of his age, and significantly delayed adaptive skills for his chronological age. She recommended that Student should remain eligible for special education under the eligibility category of OHI based upon his medical diagnosis of Down’s syndrome. She noted in her report that Student’s prior BSP, developed in February 2010, was designed to address Student’s behavior of scratching others in protest to a less desired activity or person. Based upon her assessment, Allen recommended that the IEP team fade out the BSP, because Student had not exhibited serious behavior problems at the time of the assessment. Because Student’s academic and linguistic needs were significant, Allen also recommended that the IEP team consider a blended program of small group instruction and partial inclusion in general education. She also recommended continued use of peer modeling based upon Student’s positive response to that support, continued use of verbal praise and positive reinforcement including breaks when needed, a “to-do list” in which Student could mark off completed tasks, and continued use of a visual schedule. 27. Katie Bernal (Bernal), a SL specialist with the Whittier Area Parents’ Association for the Developmentally Handicapped, conducted a review of Student’s Augmentative and Alternative Communication (AAC) skills. Her findings and recommendations were summarized in a report that was included in Student’s September 29, 2010 IEP. Bernal did not testify at the hearing. Her report identified her as a certified speech and language pathologist with a master of arts degree. Bernal concluded in her report that Student continued to rely on consistent support from a classroom aide, that he benefitted from and should continue with a variety of accommodations, including magnetic letters and board for spelling, white board for presenting word and letter choices, math board displays, physical resistance as a prompt to help Student slow down and organize his responses, and exposure to keyboard displays for spelling and typing words or phrases with supports. Bernal observed that Student’s teachers and service providers consistently demonstrated the skills necessary to support Student and provide him with a wide variety of accommodations and supports. She therefore recommended that Student’s present AAC and assistive technology-based services, provided two hours per month by a NPA were no longer necessary and could be discontinued in favor of the supports being provided by Student’s teachers and District staff. 28. District held the first session of Student’s annual/triennial IEP meeting on September 29, 2010. Parents, school administrator Reanna Mendoza (Mendoza), general education teacher Katherine Anderson (Anderson), Clark, Allen, Ko, and Bernal attended the meeting. Parents consented to proceed with the meeting despite speech therapist Santana’s absence, and agreed to continue the meeting to another date so Santana could present her report. 29. The IEP team discussed Parents’ list of fourteen concerns about Student’s education, including in the areas of social skills, expectations and rules, social emotional control, feedback and praise, behavior (scratching and pinching), scheduling, and monitoring in the classroom and during breaks and lunch. The IEP team also thoroughly discussed Student’s educational strengths and interests, reviewed his prior goals, and discussed present levels of performance (PLOPS) in academics. 30. The District has employed Anderson for twelve years as an elementary general education teacher, kindergarten through third grades. She testified at the hearing. Anderson has a bachelor of arts in liberal studies, a master of arts in educational administration, a California clear multiple subject credential, a tier one administrative credential, and a certificate in Cross-cultural Language and Academic Development. Anderson worked as a literacy coach for two years guiding teachers in kindergarten through fifth grade in the area of language arts instruction and literacy. She was Student’s third grade general education teacher until the end of March 2011, when Student stopped attending school temporarily for medical reasons. She worked with Clark on a regular basis to modify Student’s curriculum. Anderson demonstrated that she was qualified to offer opinions in connection with Student’s unique needs in the educational setting. 31. Anderson’s class had 33 students. Student was the only child in the class who had the assistance of a full-time educational aide. Student was a happy child who wanted to learn and who enjoyed going to school. 32. Student had difficulty in academics because his academic ability was significantly below the curriculum Anderson was teaching in the classroom. Specifically, Anderson modified the curriculum for Student to three levels below that of his classroom peers. Student was aware that he was working on a different level than his classmates, and he often appeared frustrated because he wanted to be like his peers. Student was functioning at kindergarten level in math, worked on early literacy skills instead of grade level, experienced difficulty following directions, was easily distracted, needed a considerable amount of redirection and prompting by Anderson and his educational aide, and he could not access any of the grade level curriculum. Student could not do paper/pencil tasks independently like his classroom peers. He could draw a picture and flip a book independently, but could not independently practice skills taught in class. His retention of concepts and words was sporadic and varied from day to day. 33. Student required direct one-to-one instruction from Anderson and his educational aide. He required customized supports to help him with classroom tasks, which required Anderson to take time away from the other students on a daily basis. He was redirected or prompted at least 25 to 30 times during the entire school day. He could not participate in small groups or exchange academic thoughts with his peers, but he knew how to take turns with other students when prompted. Student occasionally interacted with his peers while reading books together or in social settings during breaks and lunch. Based upon all of these factors, Anderson was very concerned that Student was not receiving a meaningful academic benefit from his placement in her general education third grade classroom. 34. Regarding behaviors in the classroom, Student occasionally scratched and pinched his educational aide when he was frustrated with a task he could not complete. On one occasion, Student struck Anderson in the face, which Anderson interpreted as an expression of frustration rather than of anger or meanness. 35. Anderson rotated the other students around the classroom so that they would not be distracted by Student’s regular conversations with his educational aide during classroom instruction and his task performance, and because Student occasionally distracted or interfered with his seatmates. However, Anderson did not find that Student’s presence in the classroom significantly impaired his classmates’ ability to learn their curriculum. 36. Parents discussed with the IEP team how they work with Student at home to help him learn, and expressed their concerns regarding his academic difficulties in reading and math. They requested that appropriate accommodations be provided in the area of visual supports to assist Student in reading. 37. The IEP team reviewed Bernal’s AAC assessment report, recommendations and proposed goals. Parents did not disagree with her recommendations that NPA AT services should be discontinued and replaced with accommodations and supports by classroom staff. The IEP team also discussed Ko’s OT report, including her findings, recommendations and proposed goals. Although Student’s father (Father) asked questions of Ko regarding the time of day she assessed Student, Parents did not disagree with Ko’s assessment report, recommendation for OT services once a week for fifty minutes or her three proposed annual goals. The IEP team also began its review of Allen’s psychoeducational report, but the meeting, which lasted approximately three hours, was adjourned due to time constraints and the team agreed to continue the meeting to a new date. 38. Before the next IEP team meeting, Anderson spoke to Parents at a parentteacher conference, discussed her concern that Student was not achieving any academic benefit in her class, and informally suggested that Parents should consider changing Student’s placement to a special day class (SDC) where his instruction could be tailored to his level of functioning. Parents declined the suggestion and advised Anderson that they wanted Student to remain in a general education setting in order to gain a social benefit from typically developing peers. 39. Student’s IEP team met again on November 17, 2010, to continue with Student’s triennial/annual review. Parents, administrative designee Will Gagner (Gagner), Anderson, Santana, Allen, psychologist intern Irvin Flores, and Clark were present. 40. Ann Perry (Perry), Director of Lindamood Bell joined the meeting by telephone to present a report based upon her independent assessment of Student at Parents’ request. Perry did not testify at the hearing. The IEP team considered Perry’s findings and recommendations, which included a minimum of two hours a day for up to 20-24 weeks of Lindamood Bell services in its Visualizing and Learning program. The IEP team did not adopt Perry’s recommendations. 41. The IEP team continued its review and discussion of Allen’s psychoeducational report, including her findings and recommendations. Parents actively participated in the discussion, asking numerous questions about Allen’s choice of tests, her testing methods, and her findings. Although Parents strongly disagreed with some of Allen’s findings and testing methods, Parents stated at the conclusion of the discussion of Allen’s report that they had no further questions. The IEP team also discussed Santana’s SL assessment report, including her findings, recommendations and proposed annual goals. The meeting, which lasted approximately two hours with a one-hour break, adjourned before the IEP team finished reviewing Santana’s report. The team agreed to reconvene at a later date. District provided Parents with copies of the assessments not yet discussed for their review prior to the next meeting. 42. Student continued to struggle academically in Anderson’s general education classroom. After the November 17, 2010 IEP team meeting, Anderson followed up with Parents and again proposed a change in placement to an SDC, which Parents rejected. 43. Because of Parents’ scheduling issues, the IEP team was unable to meet again until April 4, 2011, to continue Student’s triennial/annual review. Parents, school administrators Kathy Schmierer and Mendoza, Anderson, Clark, Allen, Ko, Santana, Gagner, inclusion specialist Andrea Fulford (Fulford), and four guests of Parents were present. 44. The IEP team reviewed Clark’s academic assessment report, about which Parents asked no questions. The IEP team resumed its review of Santana’s SL assessment report, including her recommendations for services and proposed annual goals. Parents actively participated by asking questions about Santana’s testing methods. 45. The IEP team continued its earlier discussions regarding Student’s proposed new annual goals, and added additional goals in reading, writing and counting numbers. Parents actively participated in the discussion, occasionally expressing disagreement and requesting changes to the IEP. 46. The IEP team discussed whether Student required a behavior goal based upon Mother’s request for a behavior assessment and development of a behavior intervention plan. The IEP team agreed to continue the current BSP, to add a behavior goal, and that a functional analysis assessment was not needed at that time. 47. The IEP team also discussed accommodations for homework to address Student’s unique needs for more time. They also discussed statewide testing, that Student scored far below basic on the second grade California Standardized Test, and agreed that using the California Alternative Performance Assessment was a more appropriate test for Student. 48. The IEP team discussed extended school year services, which District advised Parents would only be offered in conjunction with placement in a special day class (SDC). The meeting, which lasted three hours, was continued to another date before the review was completed. 49. The IEP team met a fourth time on April 11, 2011, to continue its triennial/annual review, including discussing proposed goals, Allen’s proposed BSP, and placement. Parents, Mendoza, Anderson, Clark, Ko, Santana, Gagner, Fulford, and two guests of Parents were present, including Henry Wong (Wong), a behavior specialist. 50. The IEP team reviewed Student’s BSP, which Allen had revised prior to the meeting. The behavior of hitting was added based upon Anderson’s report that Student hit her in the face in the classroom. The IEP team agreed that Student’s behavior did not pose a danger to other students, which supported Student’s continued participation to a more limited degree in a general education. Wong, who did not testify at the hearing, conveyed to the IEP team his opinions on Student’s behavioral needs, which the IEP team considered. 51. The IEP team discussed its concern that Student was not gaining an educational benefit from his third grade class, that his proposed goals were generally at the first grade level, and that his behavior had regressed out of what the team members interpreted as frustration in not being able to meet the more difficult requirements of a third grade curriculum. The IEP team again discussed Student’s PLOPs. Parents actively participated in the discussion, asked numerous questions, and disagreed with some of the District team members’ conclusions. 52. The IEP team discussed placement, including the continuum of options from full time in a SDC to full inclusion in general education. Team members reported that Student required a small class size and instruction by a special education teacher trained to work with Student’s unique needs, which he was not receiving in his present placement. The District members of the IEP team recommended that Student’s placement should be in a SDC, moderate to severe, for all academics, with mainstreaming during lunch, recess, physical education, science and enrichment to provide exposure to typically developing peers. 53. District’s offer of placement and services in the final September 29, 2010 IEP, as modified, was as follows: placement in a SDC for 67 percent of the day; placement in a general education setting for 33 percent of the day for science and academic enrichment activities, physical education (PE), lunch and recess; OT 25 minutes twice a week for a total of 50 minutes 2; SL in small group therapy 30 minutes twice a week, and individual therapy once a week for 20 minutes; transportation and extended school year services. The IEP included seventeen annual and measurable goals in the areas of academics, OT, SL, and behavior; a BSP; full time individual adult supervision; and classroom accommodations and supports designed to address Student’s unique needs. Parents did not verbally disagree with the seventeen final goals, offers of services, accommodations or supports at the April 11, 2011 IEP team meeting. However, they did not respond to District’s offer until June 2, 2011, when they advised District that they declined the offer of placement in an SDC classroom and the offer of group SL services. They did not sign the IEP. 1. District contends that Student’s September 29, 2010 IEP, as modified on November 17, 2010, April 4, 2011 and April 11, 2011, constituted an offer of FAPE in the LRE. District seeks an order that it may implement the IEP, as amended, without parental consent. 2 The change to Ko’s originally recommended delivery of service at fifty minutes once a week, was made at Parents’ request after the November 17, 2010 IEP team meeting. 17. Here, as discussed more fully below, District has met its burden of demonstrating that its offer of placement and services in the September 29, 2010 IEP, as modified on November 17, 2010, April 4, and April 11, 2011, was a FAPE in the LRE. The evidence established that at the time the IEP was developed, Parents’ only disagreement with the IEP offer was the offer of placement in an SDC instead of a full inclusion general education setting, and group SL services. 18. District credibly established through the testimony of Anderson, Clark, Ko, Allen, and Santana that at the time of each of the four IEP team meetings for Student’s annual/triennial review, the IEP team was aware of Student’s unique needs related to his eligibility category of OHI (based on his Down’s syndrome). In addition, District credibly established through the testimony of Ko, Santana, Allen, and Clark, and through Bernal’s report, that it thoroughly and properly assessed Student in all areas of suspected disabilities, including OT, SL, behavior, academics, and AAC in preparation for Student’s triennial/annual review. 19. Specifically, each of the assessors used a variety of standardized assessment tools and strategies to gather relevant functional, developmental, and academic information, and did not use any single measure or assessment as the sole criterion for determination of whether Student was a child with a disability. The assessment tools included the KSEALS, WJ-III-NU, Boehm-III, ROWPVT, EOWPVT, SPELT-III, LPT-3, BOT-2, Beery VMI-5, Leiter-R, ABAS-II Parent and Teacher Rating Scales, student observations, parental input, records review, and interviews with Student’s teacher. As such, the assessments used technically sound instruments designed to assess the relative contribution of cognitive and behavioral factors, in addition to physical or developmental factors. Also, the assessors selected and administered the assessments in a non-discriminatory manner. 20. The evidence also established that the assessors conducted the assessments in Student’s native language of English, and in a form most likely to yield accurate information on what Student knew and could do academically, developmentally and functionally, and that the assessments were used for valid and reliable purposes. The assessments were administered by trained and knowledgeable personnel in accordance with instructions provided by the producer of the assessments, as evidenced by the training and experience of Ko, Santana, Allen, Bernal, and Clark. Finally, as a result of these assessments, Ko and Santana identified that Student had unique needs in the area of OT and SL; Clark identified unique needs in the academic areas of vocabulary, reading and math comprehension; Bernal identified unique needs in the area of AAC and AT; and Allen identified unique needs in the area of behavior. Santana qualified the results of her assessments by noting that Student’s inability to complete all of the tests without extraordinary prompting resulted in scores that required caution when drawing conclusions from them. However, Santana also noted that Student’s performance in SL therapy sessions was consistent with her observations of Student in therapy sessions and the classroom, and therefore her recommendation of goals and services was based upon a variety of credible information. Finally, at the time of the IEP, Parents did not disagree with any of the final recommendations for modifications, supports and services recommended by the assessors at the conclusion of Student’s triennial/annual review on April 11, 2011. 21. District also credibly established that it complied with all procedural requirements related to the development of Student’s IEP. Specifically, the evidence showed that each of the four IEP team meetings included all necessary members, namely Parents, Student’s general education teacher, an inclusion specialist, assessors who could interpret assessment results, and other District representatives. Also, Parents meaningfully participated in all of the four meetings held for Student’s triennial review, including offering input from their own consultants, which the District team members considered. In addition, District’s September 29, 2010 IEP offer included supports, aids, modifications, OT and SL services, and a BSP, that were intended to cover the following twelve months. The IEP also included a statement of seventeen appropriate and measurable annual goals in the areas of language arts reading and writing, math, sentence length/syntax, vocabulary, expressive/pragmatic, behavior, fine motor and visual skills. Ko, Santana, Allen, Anderson, and Clark credibly testified that the goals were designed to address Student’s unique needs and were based on Student’s PLOPs at the time of the assessments. Therefore, District demonstrated a direct relationship between Student’s PLOPs, his stated goals, which were reasonably attainable in one year, and the educational services to be provided. Finally, Parents participated in drafting the goals at each of the continuation meetings, and they did not object to the modified goals offered at the close of the April 11, 2011 IEP continuation meeting. 22. The District credibly demonstrated that it reasonably calculated its offer of related services in the areas of OT, SL, and a BSP to confer some educational benefit to Student to address his unique needs. Ko and Santana credibly testified that Student would benefit from continued OT and SL based upon his assessment results. Participation in small group SL therapy sessions would enable Student to interact with his peers to develop both social skills and increase his language skills. With respect to OT services, District implemented Parents’ request to change the frequency and duration, and Parents did not object to any of the offered related services, except to group SL services. 23. In the area of behavior, the IEP team thoroughly considered Allen’s psychoeducational report and Student’s unique needs in behavior. Allen revised Student’s BSP before the April 4, 2011 meeting after Anderson reported that Student struck her in the face and continued to scratch his educational aide. As a result, the IEP team agreed to continue Student’s BSP to address his unique needs in behavior. Parents agreed with the recommended BSP. 24. 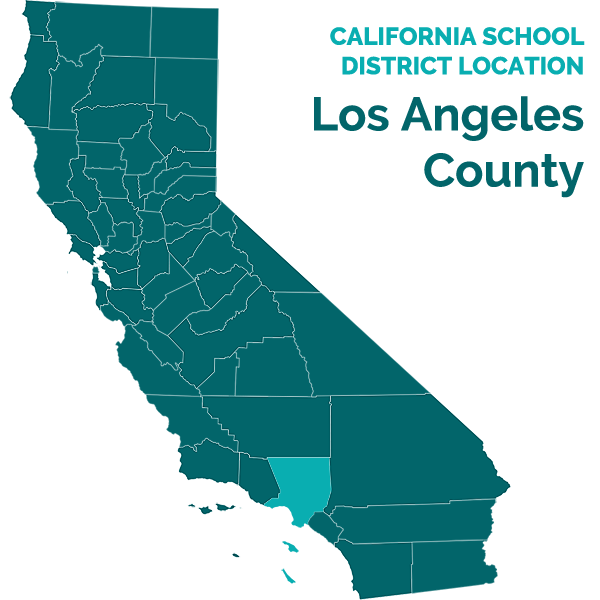 Regarding placement, District met its burden of proving that its offer of a SDC classroom with inclusion in a general education setting 33 percent of each day was the LRE. The IEP team considered the continuum of placement options, including Parents’ request that Student remain in a full inclusion general education setting for social integration with typically developing peers. 25. District persuasively demonstrated through the testimony of Allen, Anderson and Clark that placing Student in an SDC for 67 percent of the school day would afford him an opportunity to learn in an educational environment with other children with similar needs, and with teachers and staff that were trained to address Student’s unique academic needs. Under Rachel H., the first factor to consider is the educational benefit of general education. Based upon his low cognitive ability and demonstrated deficits in reading, writing and math, Student required full-time one-to-one assistance from an educational aide, and a substantially modified curriculum delivered by his teacher in small groups. Additionally, Student’s IEP contained an extraordinary number of goals that could not be effectively accommodated in a general education classroom. Anderson also testified that Student did not participate effectively in a group setting or benefit from classroom instruction delivered to the group. As to the second Rachel H. factor, non-academic benefits, District also demonstrated that given his deficits and unique needs, Student had little meaningful peer interaction with his general education peers, thus depriving Student of non-educational benefits that he could experience in a SDC. 26. Under the third Rachel H. factor, the impact on the other students, the evidence demonstrated that full time general education was not appropriate. Anderson was required to spend individual time with Student on a daily basis, taking time away from the other students. His conversations with his aide caused distractions to the other students and his teacher in the general education classroom. Finally, as to the fourth Rachel H. factor, cost to the District was not a factor that influenced District’s offer of FAPE because it had two staffed SDC classrooms at Student’s current school that could meet Student’s unique academic needs for more individualized attention. 27. In contrast, looking at the continuum of program options, the District’s offer of an SDC for academic classes with exposure to general education students in science and nonacademic activities was appropriate. District convincingly established that Student’s unique needs required a small class size for academic subjects, with teachers trained to work in small groups or individually with children with unique needs, in order to deliver a curriculum which would provide academic benefit to Student. District’s offer of mainstreaming 33 percent of the day was calculated to provide Student with the opportunity to interact with typically developing peers during science, academic enrichment, recess, lunch, and PE in order for him to develop social skills. 28. As discussed above, District has met its burden of proof by a preponderance of the evidence that District’s September 29, 2010 IEP, as modified at the November 17, 2010, April 4, 2011, and April 11, 2011 IEP team meetings, offered Student a FAPE in the LRE. Accordingly, District may implement the IEP without parental consent. (Factual Findings Numbers 1-53 and Legal Conclusions Numbers 2-28). District may implement Student’s September 29, 2010 IEP, as modified on November 17, 2010, April 4, 2010 and April 11, 2010, without parental consent.